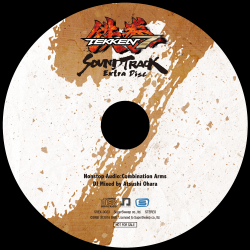 Available as a bonus item with the purchase of TEKKEN 7 SOUNDTRACK [SRIN-1136] from the SweepRecord online store. Includes a DJ mix by Atsushi Ohara. Also known as "Tekken 7 Extra Disc (Nonstop Audio: Combination Arms)".